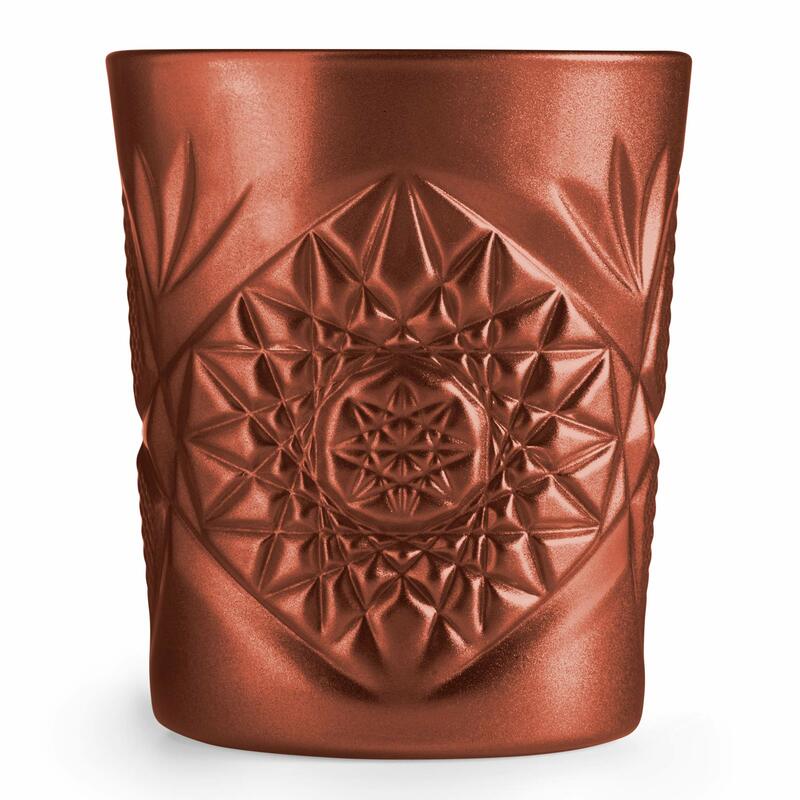 With a trend setting copper finish, the Hobstar Double Old Fashioned Glasses are ideal for serving whisky or other spirits. With a diamond cut effect finish, these rocks glasses truly stand out from the crowd. Bringing a vintage style to your bar or home, these whisky glasses are a classic way to serve double measures of your favourite tipple.